There are huge investment opportunities available in Ghana’s mining and power sector, boosted by improving commodity prices, according to Addae Antwi-Boasiako, the CEO of Ghana’s Minerals Commission. “Investment opportunities abound in the fields of mineral exploration and mining – for a variety of minerals – as well as in the engineering support sectors,” said Antwi-Boasiako. He was speaking after it was confirmed that the His Excellency the President of the Republic of Ghana will be the Special Guest of Honour at West Africa’s premier mining and power expo this year WAMPEX. 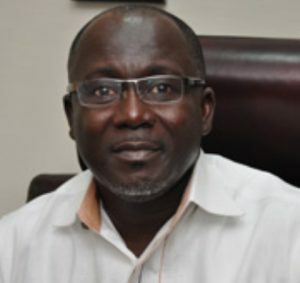 “The Minerals Commission deems the upcoming 13th edition of the West Africa Mining & Power Conference (WAMPOC), which runs alongside WAMPEX, a huge platform that will provide opportunities to local and foreign firms to leverage the investment opportunities available in the mining and energy sectors of the Ghanaian economy,” said Antwi-Boasiako. He confirmed that the focus of this year’s event is significant in view of the current improving commodity prices, especially gold, in the mining sector. “As you may be aware, Ghana celebrated 25 years of the establishment of the Fourth Republic on January 7 this year. This deepens Ghana’s enviable record of sustaining an uninterrupted period of constitutional governance. This makes Ghana a safe haven for business. He comments echoed the support of Sulemanu Koney, Chief Executive Office, Ghana Chamber of Mines, who says that mining and power must be at the heart of economic empowerment and to integrate the sector more closely with the wider economy. “We are expectant that as has been the case in the past, WAMPOC/WAMPEX 2018 will be a great avenue for stakeholders in the sector to look to the future and lead the way in making mining and power the lifeblood of the West African economy,” he said. The Minerals Commission is a government agency and the main promotional and regulatory body for the minerals sector in Ghana. It is responsible for the regulation and management of the utilisation of the country’s mineral resources and the coordination and implementation of policies relating to mining. It also monitors and ensures compliance with the law. Exhibitors from around the world will be at the Accra International Conference Centre from May 30 to June 1 for WAMPEX, and WAMPOC, which brings together senior government officials, industry leaders and influencers to discuss policy, legislation, challenges and market developments. The WAMPOC 2018 conference is organised by dmg-ems Africa in partnership with Events & Projects International (EPI).